There are few vegetables that are as tender and sweet as cabbage. As many out there, it was always hard for me to eat spinach and the darker, leafier greens growing up. I knew they were better for me, but they never tasted quite as good to me. 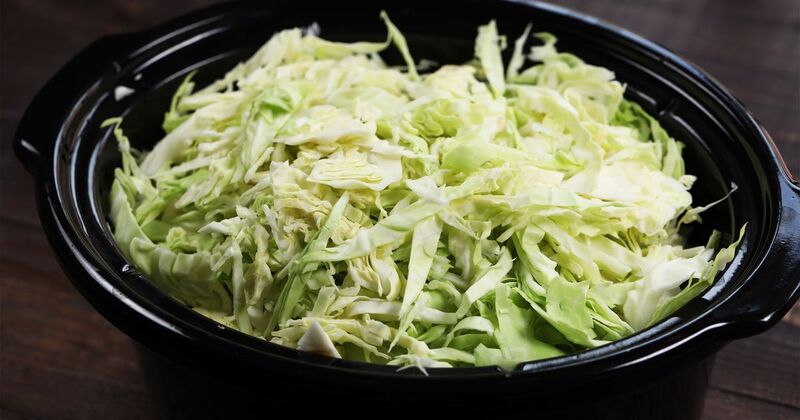 I've always had a soft spot for cabbage, and one of my favorite ways to make it is in the slow cooker. 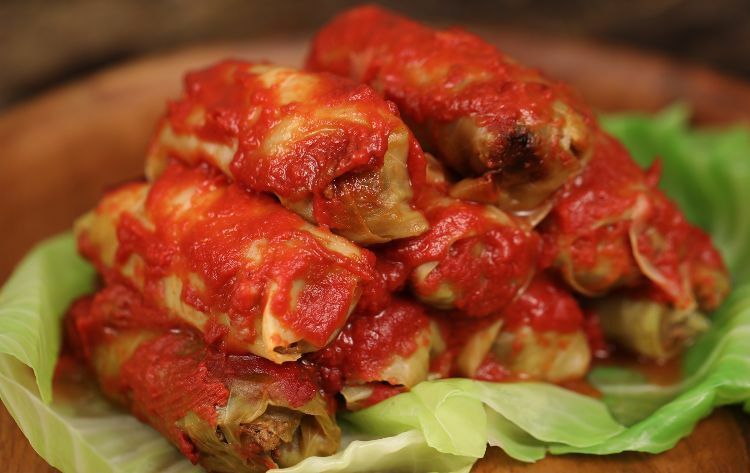 Cabbage rolls are delicious! Tender leaves of cabbage stuffed with rice and beef and cooked in tomatoes. In this recipe, we break it all down and turn this beloved recipe into a soup. We also cut down on the carbs by using riced cauliflower instead of white rice. I like to rice my cauliflower using a food processor, but you can always use a grater, which works just as well. You can also add beef broth to this recipe instead of water, but I like to cut out all that extra sodium. All the flavors simmer together slowly and make a hearty, comforting soup that's simple and delicious. 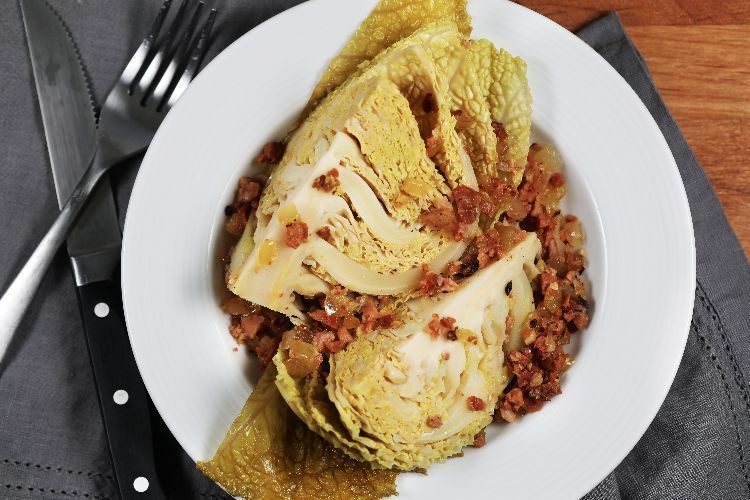 Cabbage rolls are a dish that seems made for the slow cooker. Even in the oven, they take a long time to cook, and there's really no way around first browning the beef, cooking the rice and actually rolling it all up in tight cabbage bundles. But cooking them in a slow cooker as shown in this recipe brings a few benefits over the oven method. 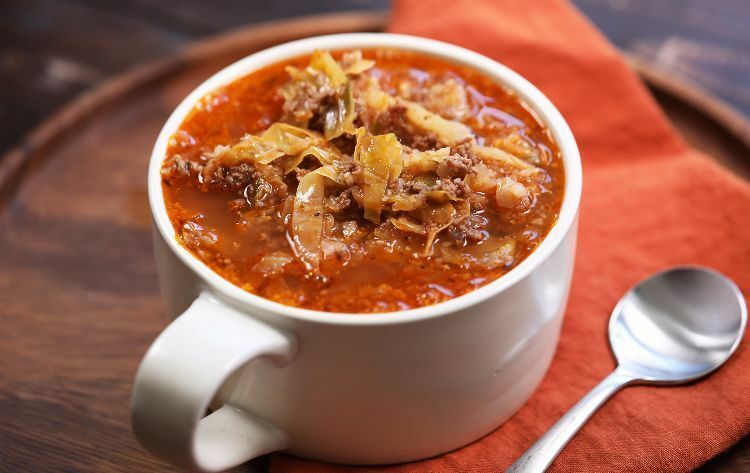 One of my favorite things about popping cabbage rolls in the slow cooker is that they're ready as soon as I get home. No waiting around for nearly two hours while they cook. The other thing that I really love about slow cooking them is that the cabbage on the bottom of the insert gets a bit crispy and charred. I've done these rolls in the oven several times and have never once achieved that texture. It's one of the reasons this remains one of my favorite ways to do cabbage rolls! 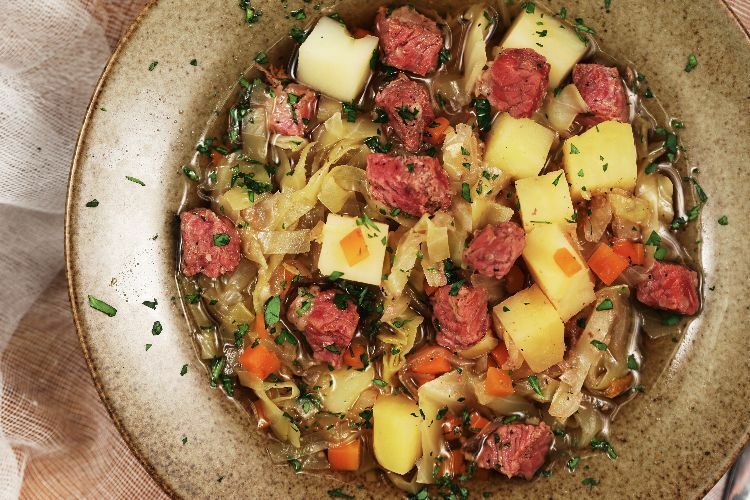 This corned beef and cabbage soup is the perfect meal to make with leftover corned beef, cabbage and, of course, beer. This recipe stays true to the set-it-and-forget-it nature of a slow cooker. Just dump all the ingredients in, and let the slow cooker do the rest. I recommend making your own corned beef but store-bought works great too. Add some potatoes and veggies, and you have a delicious soup that everyone will enjoy! This recipe takes only 10 minutes to prep, and in three hours you'll have the perfect side dish, or you can eat it as the main course, as it is filling and satisfying. The ham is mixed with onions and garlic. As the cabbage slowly cooks, it releases its natural juices, and the ham slowly simmers and makes a sort of sauce. The fresh lemon juice brightens the whole dish, while the butter adds just the right amount of nuttiness.